As I mentioned, one of my goals this year is to drink more water and while I'm not doing so bad with it I do think I could drink more, especially when I'm out and about. I've tried several plastic bottles now but they have sadly either leaked or cracked so I've found this ultra cute glass water bottle (500ml) to take on walks with me. Glass bottles are of course heavier to carry but it does have a handy wrist strap to the handle and it will last the test of time! It isn't the cheapest but it looks expensive and quite Rifle Paper Co or Orla Kiely-ish, you know? Basically, it's cute! 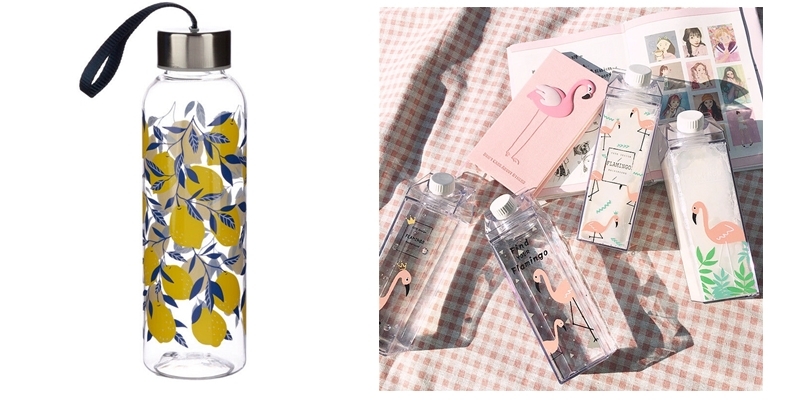 You can also find the same water bottle with matching lunch bag (also super cute) here for only £10.99. I also really love these cute carton-style plastic bottles for juice, milk or water for the fridge. Really handy for having with you at home or on your desk. Pearls are back on trend right now so I had to go down that rabbit hole on eBay and I surprisingly found a lot of lovely items. 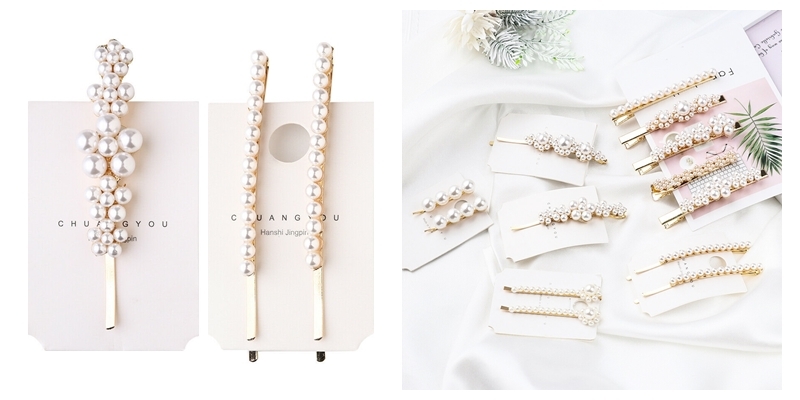 The first of which is this stunning selection of inexpensive faux pearl hair slides. They come in both individual slides and packs of two costing no more than £1.25 and look good quality. Perfect for pinning up your hair at one side or styling a simple messy bun with. Side note: I love to pick up cheap but pretty hair slides from eBay and have yet to be disappointed - always high quality and unique! 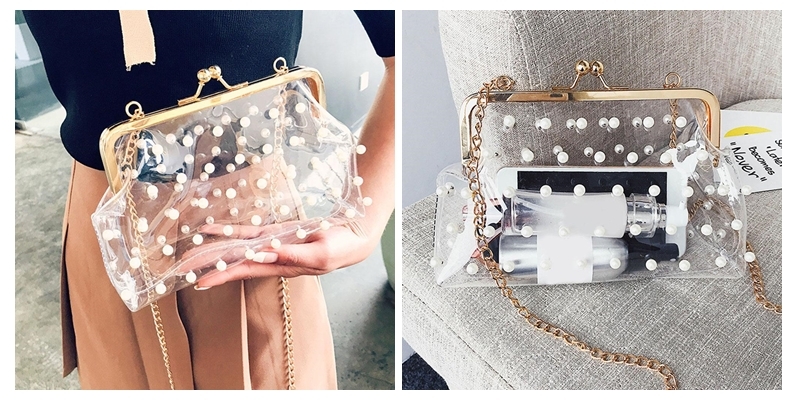 Another stunning pearl accessory find here that I'm pretty obsessed with! I'm not sure if this is a 'take' on a more designer bag, but I personally haven't seen anything similar until I came across the listing. I'm not generally a fan of the see-all-the-crap-in-the-bottom-of-my-bag bags, but with this style I feel it's almost a more evening/special occasion take, when you wouldn't be carrying a stash of year-old receipts and 10 lipsticks. I also really love the overall design of the bag, from the oversized ball-clasp opening to the shape and the gold crossbody chain detail. Also, it's just a bargain! For me, Spring is without a doubt cardigan weather, actually Spring & Autumn. Not sure what the weather will be like or what to wear? 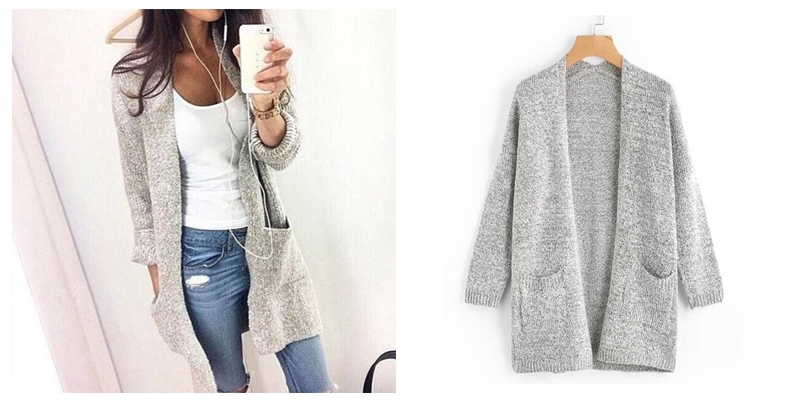 Throw on a longline cardigan. I have endless cardigans like this and they serve me well and can be paired with pretty much anything. However, I don't have anything that looks this soft or in this lovely light grey shade so I think this will be mine soon enough. I feel this I've mentioned this dainty bee necklace a million times, probably because I have, but it's something I picked up last year and have worn so much! It's also the perfect cheap accessory for Spring/Summer. 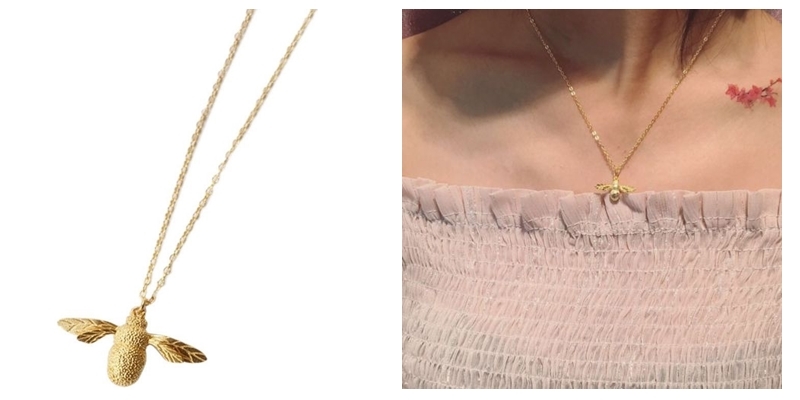 As you may be able to tell this is beyond similar to the £165 Alex Monroe Bumblebee necklace, and while of course the quality or metals aren't comparable in the slightest the aesthetics are there and it really does look very pretty. Some may scoff at such cheap jewellery but if like me you don't wear it often or have a tendency to misplace it then inexpensive finds like this are perfect! Call me extra but I change up my phone case with every new season. Actually, that's a lie, I also update my phone case for both Halloween and Christmas - yes, I'm that person. 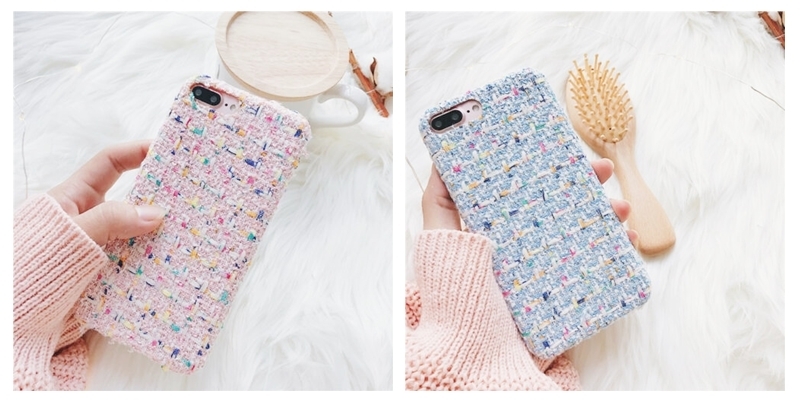 So while I love the dark floral phone case I'm currently using I'm in need of something more Spring-like and cute... and I think I may have found it! I'm all in favour of pastel shades come Spring but I wasn't expecting to find something as cute as this tweed, almost Chanel-esque design and at such a cheap price. I have a few other options but I think I need this - what do you think? 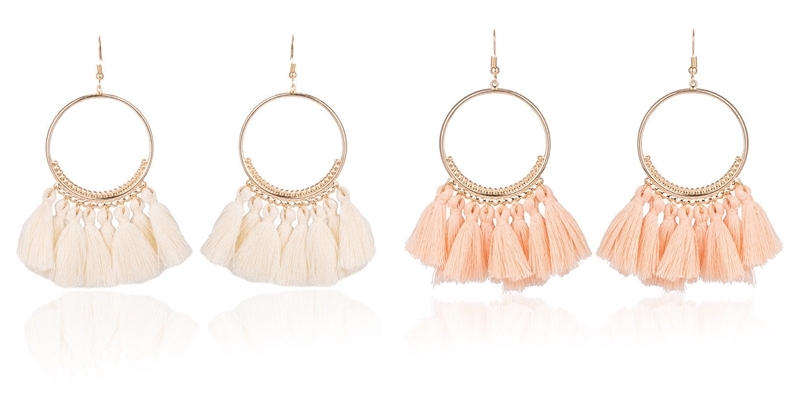 Statement tassel earrings are very much in still and if you aren't keen on spending £12 on a single pair at Topshop then you may want to check out eBay! This listing caught my eye for the endless colour choices and the lovely bohemian style, really perfect for Spring, but if these aren't for you the listing links to lots more styles that really are great. I don't have my ears pierced anymore, but these are making me wish I had! 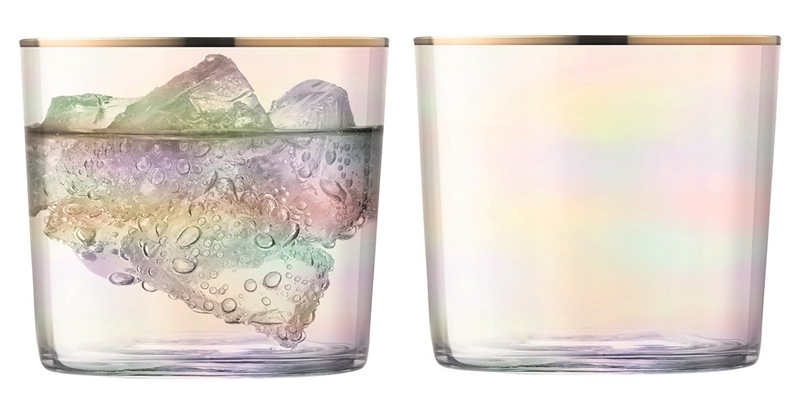 I featured these amazing LSA drinking glasses a year or so ago in a Spring/summer wishlist post and since then they have been reduced! Now they still aren't cheap at £15 for a pair, but they are absolutely lovely and from LSA. I'm all about eating and drinking in my garden come nice weather so these are firmly on my watch list! 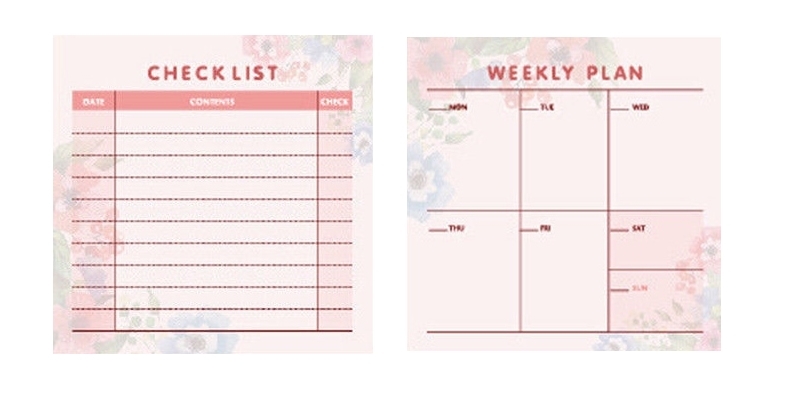 Lastly, a range of tear-off notepads to keep you organised this Spring. Handy for keeping organised at work or creating spring clean to-do lists, I find these kinds of pads invaluable to have to hand. However, what I like about these over what I'm using right now, is how compact they are! I have quite a few notepads that are A4 and they simply don't need to be so these small post-it note size pads are perfect. Are you staying organised so far this year? Let me know your favourite Spring picks here, I'd love to know!